Unrecognized at his time and lived much of his life in poverty, Howard Phillips Lovecraft shaped the horror fiction of a century and had a lasting legacy that still influences the horror genre through various mediums. Among many other recurring themes, he mostly wrote about the humanity’s insignificance in the universe, sanity’s fragility, fear of the unknown, limitations and dangers of knowledge and its pursuit. He developed and used a philosophy of “Cosmicism” in his work, and his ideas, writings and further influence grew into a subgenre called after him, namely “Lovecraftian horror”. His influence on literature can be seen particularly on modern horror and fantasy writers such as Stephen King, Neil Gaiman, Alan Moore and Mike Mignola as well as many other authors. Lovecraft’s writing style and themes of his work have been proved to be difficult to adapt on big screen. Many adaptations up to now had a hard time due to various other reasons, but of course there have been some exceptions. To further remind the readers, this list was meant for Lovecraft inspired films only. Therefore, it excludes adaptations, the films that are in some way based on a story of Lovecraft. There are not many successful adaptations either, but aforementioned choice is the reason that Call of Cthulhu of 2005 does not appear in the list, for example. Also, the list doesn’t comprise of Lovecraftian films only, as the aim was to put together the most impressive films with Lovecraft influence on them. Hence, below exist some relatively unexpected entries. By any means, it is best to see the list as films that Lovecraft fans would enjoy. Jack Finney’s novel “The Body Snatchers” has been adapted to film four times and the Invasion of the Body Snatchers of 1978 is the second iteration. It was a box office success and has been mostly revered by the critics not only for being a strong adaptation, but also for being an exceptional remake. It hosts a trio of actors that will come as familiar to sci-fi and horror fans alike: Donald Sutherland, Leonard Nimoy and Jeff Goldblum. Together with the lead actress Brooke Adams they achieve a charming chemistry and every scene becomes delightful to watch. In the book The Body Snatchers, we see the Earth under invasion of extraterrestrial seeds. The seeds are parasitic, they duplicate humans in their sleep and replace them, while turning the hosts into dust. Aside from the satirical interpretations of alienation, McCarthyism or that the humans are very much alike the pod people, the story has a terrifying science fiction concept and film serves it nicely. 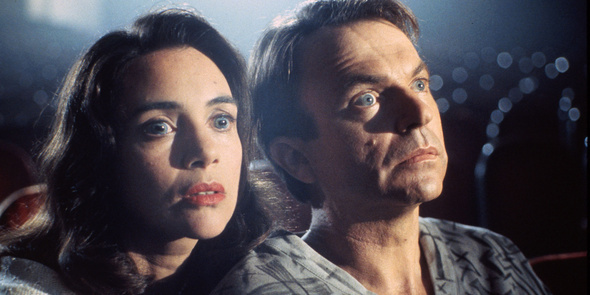 While it is not a Lovecraftian film most of the time, Invasion of the Body Snatchers is about mind possessing alien beings and this idea has been featured in many stories of Lovecraft. The film has a continuous sense of hopelessness, even more so than the original source material. Also, the transformation of Sutherland’s Matthew throughout the film makes him a very Lovecraftian protagonist. At first glance Alien may only offer a plot that is reminiscent of “At the Mountains of Madness” and do not show any apparent similarity elsewhere, but most of the Lovecraftian elements in the film are very subtle to catch. That is because Alien is a product of a team that knows and adores the author’s work, so his influence is under the surface, hidden in details. Writer Dan O’Bannon is a fan of Lovecraft since he was 12 years old and he would later go on to direct The Resurrected, which is a fairly faithful adaptation of the Lovecraft’s “The Case of Charles Dexter Ward”. He attempted to write the script of the Alien in a Lovecraftian manner and although the mood has changed in Hill and Giller’s rewrites, final film retained some of that earlier Lovecraftian atmosphere. O’Bannon wasn’t the only fan in the set. Swiss artist H.R. Giger says that Lovecraftian ideas had a significant impact on many aspects of his work. His works have always had a very distinct and a certain “biomechanical” style, but Lovecraftian influences are easy to see in his art. It is especially eminent in his work for Alien, in the complete life cycle of the Xenomorph species. Giger would also go on to show his admiration for Lovecraft by naming his compendium of paintings after Necronomicon, the famous grimoire the author used frequently in his stories. 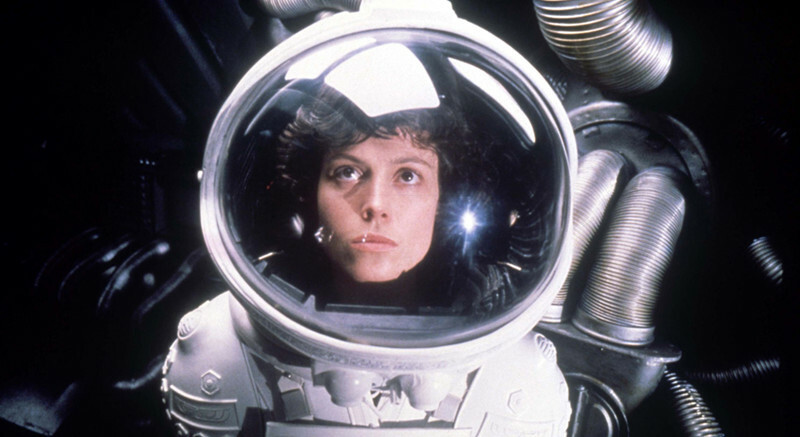 One of the most prominent films with Lovecraftian influence, Alien is a timeless classic and deserves to be considered one of the greatest films of all time, surpassing the limitations of its genre. 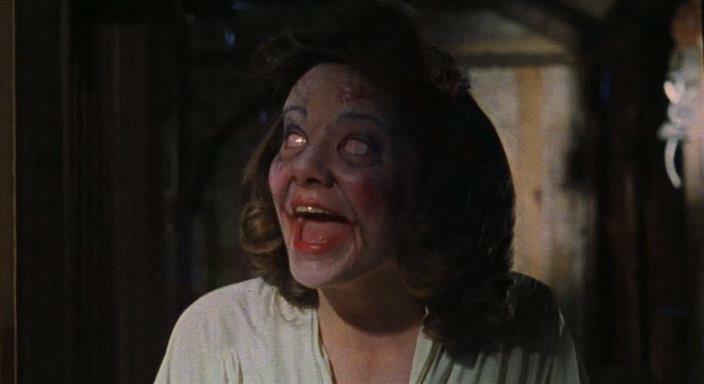 Though it may be away from the Lovecraftian tone and themes for the most part of it, The Evil Dead features many Lovecraft references and it is mostly revered as a cult horror movie by fans and non-fans alike. Also, the film marks the beginning of the collaboration between Sam Raimi and Bruce Campbell. The Evil Dead features a group of teenagers vacationing in a remote and isolated cabin. Unknowingly, they release a powerful evil force through the audiotape they find in the cabin’s cellar. The tape they find belongs to an archeologist. Just like reading a Lovecraft story, we listen to the tape as the archeologist tells about his findings and how they brought destruction to him. He goes on to recite some incantations through the book he had found. The grimoire named “Naturom Demonto” is an homage to Lovecraft’s Necronomicon and possibly one of its most known appearances in popular culture. While Sam Raimi was creating his prototype horror film Within the Woods -to attract investors’ interest for his further works- he was studying works of Lovecraft and became fascinated with the concept of Necronomicon. Even the initial name set for the project was “Book of the Dead”. Possession brings some of the strongest characteristics of a Lovecraft story together in a well-done manner. The film hosts only a few characters of hazy nature. It begins like an ordinary tale of unfaithfulness but evolves into a much complicated and disturbing experience, sometimes becoming even too hard to watch. Through the eyes of the husband we find ourselves in a detective story, rather cluelessly searching for the answers while uncovering an intriguing backstory of a greater horror. 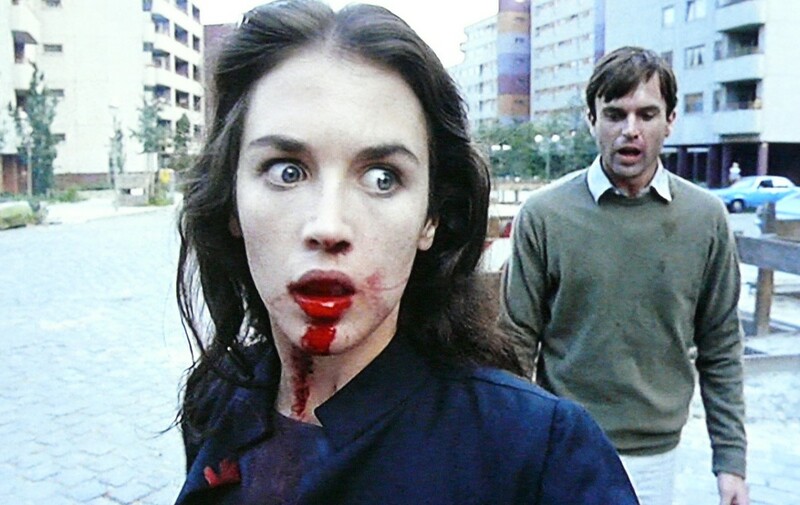 As a perfect mixture of drama, horror and suspense, Possession is truly a demanding film. We strive to learn more about what’s going on behind all the hassle on screen, but the film carefully hands it over, piece by piece. At times, this lack of information together with the continuous tension creates a viewpoint that is absolutely paranoid. Most importantly, both the literal and symbolic façades of the story ask you to invest in the relationship of the main characters. We watch their lives very closely and bear witness to every temper tantrum. It already gained itself a cult status, but late Andrzej Żuławski’s masterpiece needs more appraise for its exhausting camerawork and editing, stunning performances and storytelling techniques. As a part of the Apocalypse Trilogy, as Carpenter calls them, The Thing surely lives up to its name after three decades. From the iconic opening scene to the very end of the film it is simply a lengthy nightmare. “The Thing” is an extraterrestrial lifeform that assimilates and imitates other organisms and we watch a stranded research team’s struggle for survival. Even though it is a faithful adaptation of John W. Campbell’s novella “Who Goes There?”, there is an unmistakable influence of Lovecraft on the film. As a hallmark of horror genre, it serves whatever one can want from a Lovecraftian film. We feel the heightening paranoia as each researcher suspects another. There is a certain sense of impending doom when we dare to think about the further catastrophes and realize their implications. Antarctica establishes an isolation of unimaginable scale and the constant feeling of claustrophobia and xenophobia don’t go anywhere even when the film is over. It may be far-fetched to say that the source material “Who Goes There?” is influenced by Lovecraft’s earlier “At the Mountains of Madness”, but it is evident that they bear some similarities. They both detail an ill-fated research expedition to Antarctica. In both novellas, men of science uncover findings that hint to terrifying consequences and they encounter with an archaic alien organism. 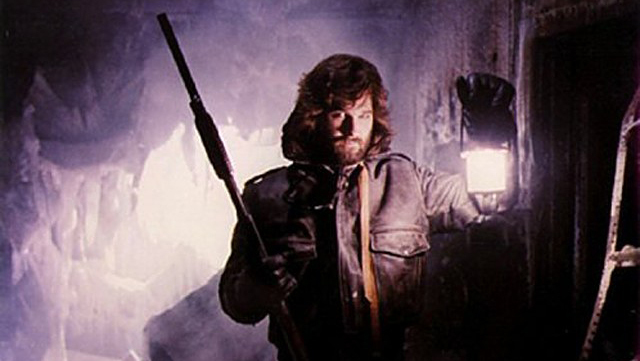 Whatever its influences may be, with its unceasing suspense, splendid use of body-horror and realistic performances of its actors, The Thing still holds its place among the best horror movies of all time.